The cycle of images … does any thing really change? 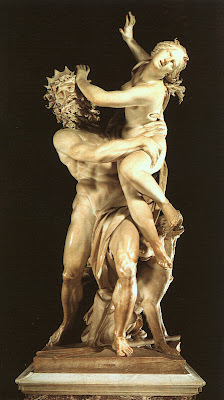 by Bernini executed between 1621 and 1622. Of the underworld, brute force, power – it is a long history of role playing that is interesting to consider… just who would you think commission such a work? And for what purpose? But I do like this quote from an interview of Leibovitz (link)… Is a cover like the Vanity Fair cover photo worth the price? This entry was posted in Inspiration, Photography, Sculpture and tagged Annie Leibovitz by Matt Niebuhr - West Branch Studio. Bookmark the permalink.